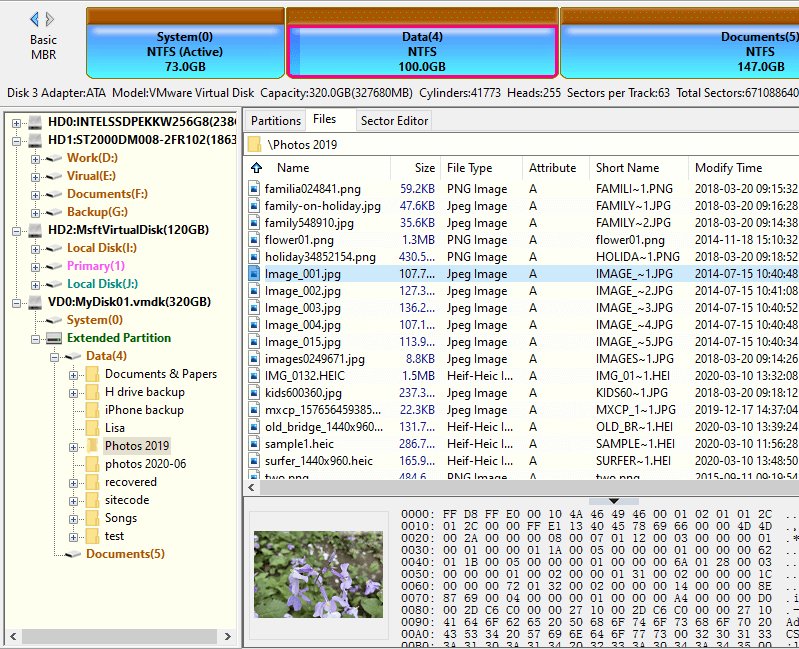 DiskGenius is able to load virtual disk files and ".img" disk image without launching virtual machine. Once virtual disk is loaded, you can recover lost data from the disk as well as manage disk space, for example, create partition, resize partition, image disk, copy partition, etc. It supports VMware, Virtual PC and Virutal BOX virtual disks. Select the virtual disk or disk image you want to open and load it. Then you can view the disk in DiskGenius. 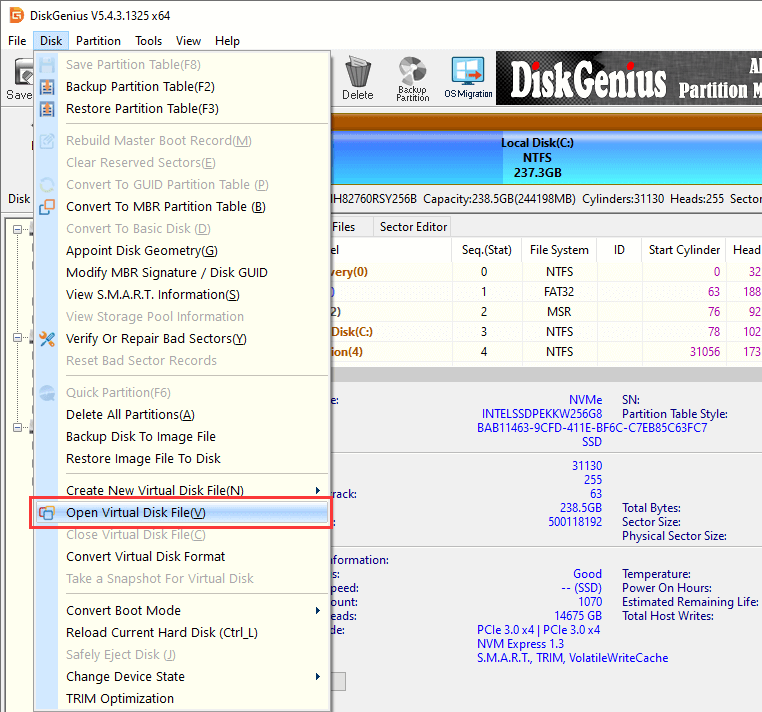 The virtual disk is loaded in DiskGenius instead of operating system, thus it is not visible in File Explorer and its partitions cannot be assigned drive letters. After opening a virtual disk, you can operate it as a regular disk. All functions, except assigning drive letters, can be performed to the disk, for instance, format partition, copy files, file & partition recovery, clone disk, image partition, resize partition, etc. Detailed operations to partitions and files are the same as operating a regular disk.